The Doryman is well known for good times! 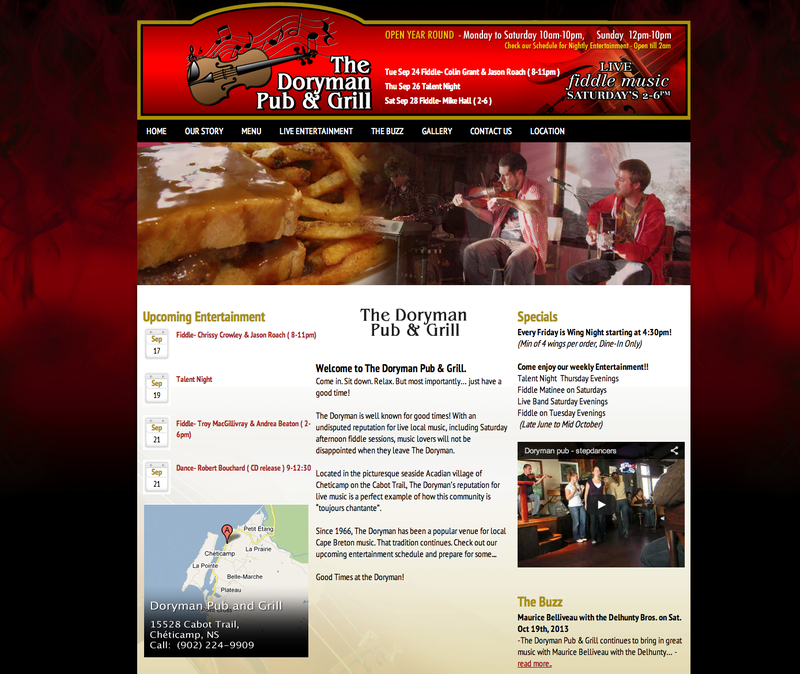 With an undisputed reputation for live local music, including Saturday afternoon fiddle sessions, music lovers will not be disappointed when they leave The Doryman. This was the clients first website and they needed a website to stay connected with their customers. They have a very busy schedule of live entertainment. The website allows customers to easily find out who is playing when. The site also features a blog, full kitchen menu and a photo gallery.